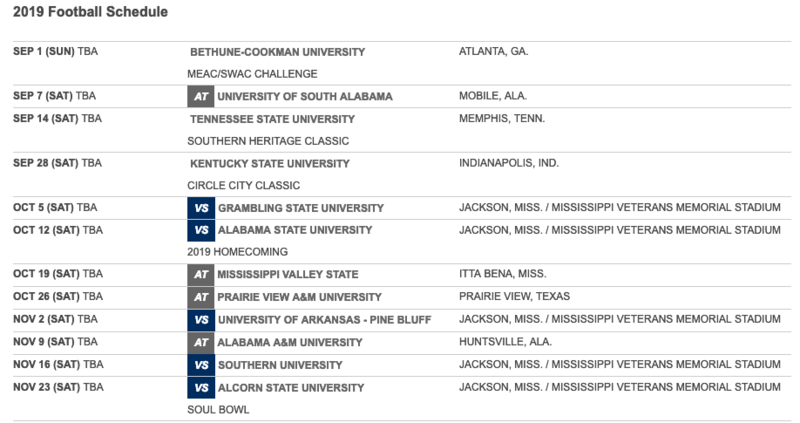 JACKSON – Five home games, the season opener at the MEAC/SWAC Challenge in Atlanta and trips to prestigious classic games highlights Jackson State’s 2019 football schedule the JSU Division of Athletics announced Wednesday. 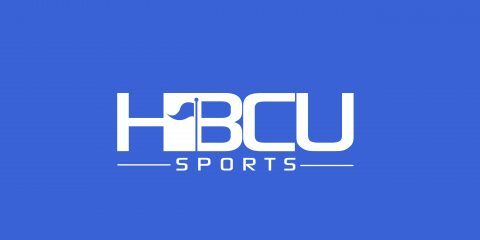 The Tigers open the 2019 season at the MEAC/SWAC Challenge (Sunday, Sept. 1) in Atlanta, which will be broadcasted to a national audience on ESPN. The following week JSU travels to Mobile, Alabama and will match-up with South Alabama (Saturday, Sept. 7) out of the Sun Belt Conference. JSU travels to Alabama A&M (Nov.9) and closes out the regular season with a pair of home games. The Tigers welcome Southern (Nov. 16) and Alcorn State (Nov.23) to The Vet.